Miami Marlins catcher J.T. Realmuto has been one of the most discussed names on the trade block in the offseason. And the Marlins reportedly want to make a deal happen. Scott Lauber of the Philadelphia Inquirer reported on Wednesday that Miami wants to trade Realmuto before pitchers and catchers report on February 13. Specifically, the Marlins are hoping to acquire Jorge Alfaro and Sixto Sanchez from the Philadelphia Phillies. Marlins are focused on trading J.T. Realmuto before pitchers/catchers report next week, according to a league source, and believe #Phillies have enough to get him as long as Alfaro and, as @JoeFrisaro reported, Sixto Sanchez are part of the deal. Even if it wants to, Miami doesn’t really need to trade Realmuto any time soon. He signed through 2020. So, the Marlins can wait to be sure that they get the best deal. 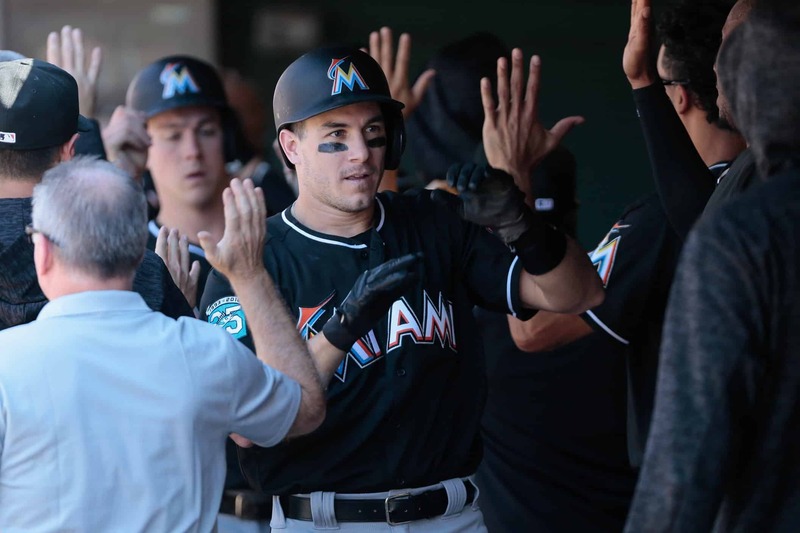 Realmuto is one of the best offensive catchers in the league, hitting .277/.340/.484 with 21 home runs for Miami in 2018. There’s also every reason to believe that those numbers would increase going from the pitcher-friendly Marlins Park to Citizens Bank Park, which is clearly a hitter’s park. That said, if acquiring Alfaro and Sanchez is realistic, we can definitely see why Miami is interested. While he’s not yet at Realmuto’s level, Alfaro is a highly regarded young catcher. He hit .262/.324/.407 with 10 home runs in 108 games in 2018 for the Phillies. Sanchez is MLB.com’s No. 27 overall prospect for 2019. But being only 20 and having never pitched beyond High-A ball and is only 20, he’s more of a long-term project. He likely wouldn’t make an MLB roster until 2020 at the absolute earliest. But he’s been brilliant in the Minors, posting a 2.48 ERA, 0.99 WHIP, and 191 strikeouts in 221.1 career innings.